Recount Text adalah teks yang mengatakan kepada kita tentang sesuatu yang telah terjadi pada masa lalu atau lampau secara nyata. Salah satu teks recount adalah personal recount. Inilah contoh teks personal recount dengan disertai daftar kosa kata dan bentuk soal pilihan ganda. Materi ini merupakan salah satu materi Mata Pelajaran Bahasa Inggris kelas VIII SMP/MTS Semester 2. 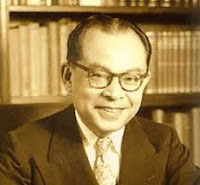 Mohammad Hatta was one of Indonesian founding fathers. He lived from 1902 until 1980. Together with Soekarno, he proclaimed the independence of Indonesia on 17 August 1945. Mohammad Hatta was born on 12 August 1902 in Bukittinggi, West Sumatra.When he was in Junior High School in Bukittinggi, he joined Young Sumatrans. When he finished his study in Bukittinggi, he moved to Batavia. Then he went to Netherland to continue his study. When he was there , he participated actively in the National Movement. As a result, he was arrested by the Dutch Government. In 1932, Bung Hatta went back to Indonesia. He joined a political organization called Pendidikan Nasional Indonesia. The organization wanted Indonesian people to know many things about politic. Because of the activity, he was arrested again. He was sent to Boven Digul, and later to Banda Neira as a prisoner. Before the Japanese invaded Indonesia in1942 he was brought back to Java. On 17 August 1945, two days after Japan surrendered to Allies, Bung Karno and Bung Hatta declared the independence of Indonesia. Then they were selected as the president and the vise president. Bung Hatta was the vise president until 1956. He resigned and concentrated in writing. On 14 March 1980, Bung Hatta passed away in Jakarta. Mohammad Hatta was one of the greatest people in Indonesia. People will always remember him as an honest and sincere person. Choose the correct answer by crossing a.b,c or d at your answer sheet based on the text above! Lihat alenia 3 : When he was there , he participated actively in the National Movement. As a result, he was arrested by the Dutch Government. 2. On 17 August 1945, Bung Karno and Bung Hatta proclaimed the Independence of Indonesia.